began with a romantic gesture. In 1850, Swiss manufacturer Carl Franz Bally was on a business trip to Paris and on his final day he remembered his wife had asked him to bring her home a pair of fashionable boots – the only problem was he had completely forgotten to ask her size. He was very surprised to see a stock of thousands of pairs of shoes and boots at the shoe factory warehouse and immediately wondered whether it would not be possible to manufacture these in Switzerland. He decided to buy the entire size run and Frau Bally warmly accepted the two pairs that fitted her. The rest, Carl Franz put on sale in his factory shop, where they instantly sold out. By the 1870s Bally had established itself as one of Europe’s first luxury shoe houses and blazed a trail by taking its elegant footwear to the international market. On the back of successful exports to South America and rising sales, Carl Franz Bally decided to open independent stores. Montevideo and Buenos Aires followed the first Bally store, which opened in Geneva in 1870. The entry in to the British market (and colonial empire) a decade later, was the beginning of an important era for Bally shoes. Bally continued in this spirit and later on, in the 1980s, headed the first wave of luxury brands offering their goods in the People’s Republic of China. 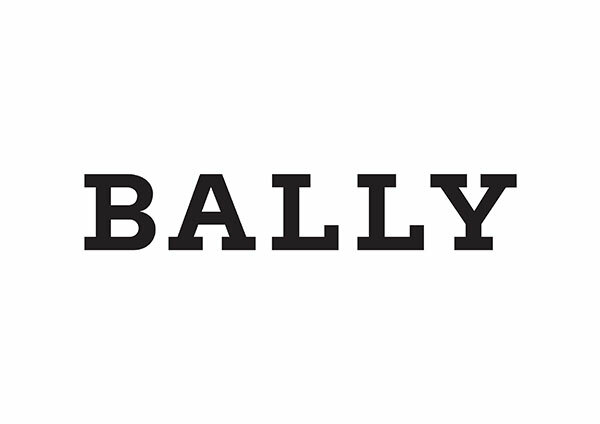 At the turn of the century, Bally was one of the world’s first global companies. In 1927, the Bally laboratory opened to ensure that research and development in all areas of leatherwork would continue. As the 20th century progressed, Bally’s product range grew. Its footwear spanned the ultrapractical – with the production of ski boots for Swiss Olympians and the mountaineering boots that took Sir Edmund Hillary and Tenzing Norgay to the summit of Everest – to playful fashion items with the vibrant Bally stripe, based on the Swiss flag and first introduced on Bally product in 1939. In 1976, Bally launched a range of ready-to-wear clothing and accessories. The brand’s handbags, often with whimsical designs and the inclusion of signature Bally details, are now instantly recognisable luxury items with personality. Over the past century, Bally has had a strong emotional bond with forward-thinking artists, designers and architects, joining forces with some of the boldest creative minds. Bally is a company of deep heritage and youthful vigour. It is an urban brand in its widest definition: Bally is embraced by independent stylish women and businessmen as well as by hip-hop artists. The brand ethos always returns to that moment of joy and humour when Carl Franz Bally brought home a dozen pairs of shoes for his wife, in the hope that one would pair would fit her. A moment of luxury and happiness. In May 2018, Bally signed a worldwide licensing agreement with the Marcolin Group for designing, producing and distributing sunglasses and spectacle frames, available on the market from 2019: a collection that combines artisan skills and innovation, functionality and elegance, attention to detail and experimental research.